I am sharing this regression because I feel it contains interesting information. It tells us about life on a planet surrounding one of the stars of Sirius, in which there is very little information available. Regression therapy allows access to the “spirit” mind or “over-soul” mind, where in all information and experiences of the soul are recorded. From this point the therapist can allow relevant memories to come forward for therapeutic and explorative purposes. How cool is it that we can bring forward future, past and other dimensional lives?! We usually just hear about past life regression but I have learned in my experience that our current reality is constantly receiving information and influence from all directions of time and incarnations. Also (amazingly) I have found other dimensional lives have an impact on our current experience as well. We can ground healing and inspirational information from other incarnations and integrate them into our current life. This results in deep releasing,/healing a higher awareness of self. This week I had the pleasure of working with a good friend of mine who had quite a fascinating experience as a higher dimensional extra terrestrial being while being regressed. She went into a life of peaceful amphibious beings that lived on a planet that was mainly water and sand (from what she could tell) with a bright blue sun tinting the terra. These beings lived a calm and peaceful life. They took playing very seriously, which seemed include joyously swimming around in the ocean with other similar beings to her. She was aware of a bit of hive mind or group mind going on as she could easily tap into a higher perspective of unity consciousness while still accessing her individual experience. This was interesting to hear, as I mostly think about hive mind as a negative where you surrender you ability to choose for yourself. Hearing this helped me understand that group-mind can be a great gift and allow a society to bob and weave together for the highest good. Her skin was the color and texture of a “baby beluga whale”, however she mentioned that it appeared blue due to the light of the blue sun. She had defined legs and arms, without joints, and had flipper like hands and feet. There were males and females each with hair that appeared to be the texture of dreadlocks with each lock actually live and tube like. She mentioned that it was similar to the hair of the Navi in the film Avatar. She also mentioned that they walked very funny, like Gumby. Her face was very beautiful and I believe she said they had high check bones, highly arched brows and upward slanting eyes. There was large clear quartz like stone that came up from the floor of the ocean that enabled them to connect intimately with each other on a spiritual level. It would come out of the ocean floor for a certain period of time and then recede back into the sand afterwards. She said it had been there for a long time and she was not aware of how it got there. All beings were able to connect through this crystal and it did not matter whether or not you were of the same species. She mentioned that there were other human like creatures there as well, some appeared like our traditional depiction of a mermaid. Her next significant moment in her life was standing in front of a giant tree like organism in the water. Within this organism were hundreds of eggs, all hers. They were her children and she felt emotional about them. She had her palms pointed at the eggs and was projecting a blue, protective and loving energy to them. I asked her why she was protecting them and she said that even though it is a very peaceful place other creatures feed on her eggs. Even though she expressed her love for them and her motherly need to keep them safe she acknowledged the fact that very few of her eggs would survive to hatch. The ocean has an eco system and she understands that the ones that are meant to live will live and the others were, in the big picture, meant to parish. The next memory she brought forward was one a bit more “frantic” than the others. They were pulling seaweed like material from the ocean and putting it on the sand. This was because the sand was “too dry” and needed to be “balanced by bring the sea onto it”. They took this work very seriously as they realized that they were their planets keeper and that their life cycles were inseparable from the planets. They knew that doing this ensured the health of their planet and the health of themselves. During the past life journey she kept mentioning “Sirius”, I caught onto it observing her experience however she did not realize what she was referencing until after coming out of trance. We then pieced together that she was an amphibious being who lived on a mainly aquatic planet circling the star Sirius. Agartha and the Butterfly Beings. As part of our adventure into the soul mind she took a journey into the inner earth or “Agartha”, where she met a “butterfly being”. She said that it had beautiful colorful wing that reminded her of a monarch butterfly. It stood upright like a human and was about eight feet tall. Although it was postured like a human its face still remained like a butterfly and was clearly more insect than humanoid. Around her feet were many caterpillars and cocoons in various stages of transition. The butterfly’s message for her was: “KEEP PEACE” and that people are like butterflies in that they are transforming and themselves in different levels of transition. There were not nearly as many full butterfly beings as there were caterpillars and cocoons. While on my hypnosis adventure the white beings also shared with me information on the sun and its spiritual function in our lives. They told me that he (the energy is associated with what we would consider masculine or knowledge orientated where as the feminine is emotion orientated) is extremely instrumental in our awakening process. •	He has the ability to crystalize vibrational codes within us that support ascension and its transitions. This happens much like a chemical change. I would go as far to say that the sun is directly associated with the transforming of our DNA. •	The sun represents the action phase of our lives. He represents expansion, activity, growth and development. This of course follows the contractive feminine phase, which is introspective and lays the groundwork for expansion. However many can call being in the contraction wave the dark night of the soul, it pushes us to look at ourselves honestly and release paradigms that are damaging to us. This phase allows us to look at not only ourselves honestly, but the world. At this point in time it is important to realize that there is a group of people out there who would like to draw out the dark night of the soul or deepen it in hopes that people will crumble. In order to do this among many things they block the sun and its flares- solar flares are directly associated with inspiration and awakening. . How interesting that the mayan calendar, which is deeply associated with spiritual awakening, ends on the “solar maximum” a time of great solar activity. Chemtrails and misinformation are the main ways these groups attempt to disconnect us from the sun. In my hypno session I saw the sun flaring and a group wanting to block the flares from influencing the planet. It felt as if by doing this they were attempting to dampen the momentum of the awakening/ascension. •	Without the influence of the sun the contraction phase (or dark night) is drawn out beyond it’s natural rhythms. Ancient mystery schools (many whom warship the sun) focus on reaching enlightenment through inducing a dark night and then reaping the rewards of the expansion/enlightenment phase such as: increased psychic abilities and a larger, deeper perspective on life. There is a great deal of information about the sun and how it relates to spirituality and the enlightenment process. There are books, journals and tonnes of websites and forums that explore it. I think understanding it at this point in the game is very beneficial due to its highly symbolic/archetypal nature. I’ve had a lot of fun researching this and connecting the dots, which seem to stretch across all cultures and time lines. 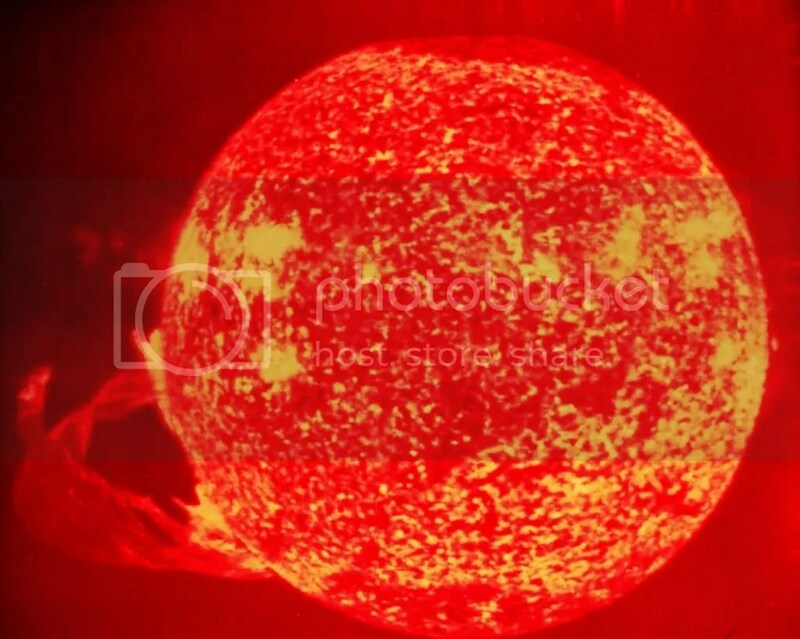 Please share you thoughts on our beautiful sun, I’d love to read them! Remote Viewing the Remote Viewer. Red Light Special – Nightly visitations. As of late I have had a difficult time sleeping; usually I blame it on too much caffeine or sensitivity to energetic shifts happening around me. However the other night as I drop deeper and deeper into sleep I remember something very weird happening. Micah, my fiancé, sits straight up in bed (which I find odd as he has been sleeping for about 30 minutes), and a red light pours in from outside my window. The light is not ricocheting off of anything it was not from a car, it was clearly from a flashlight sized source beamed directly in the window. After this I have no recollection of what happened. Needing to have doors, (even closet) and windows closed or covered before sleeping. Signs of tampering with reproductive organs. I really wanted to write off my experience to dreams or natural phenomenon, but no dice, there were to many “coincidences”. This realization started to bother me and frighten me; I wanted to understand what was going on at night. So I decided that the best way to go would be to under go some memory recovery hypnosis. Luckily my fiancé is a certified hypnotherapist so we did it right away. Under hypnosis it was very difficult for me to get back to that moment, there was a definite block there either from my eagerness to uncover what happened or maybe some crazy men in black style memory eraser tech was used on me (you never know). It took a very deep induction but I ended up being able to recover some of the event. I remember seeing an orangey brown band of energy in the bedroom it was separating me from a man sitting on the chair for my vanity, staring at me, one leg crossed over the other. He had pin straight, fine black hair with shiny black shoes and dark slacks (creepy I know). At first I thought he must be an ET, obviously he was not using the front door, but that didn’t make sense. It then occurred to me that he was Human, and he was a remote viewer. Now, I am into alternative thinking and conspiracy theories, but the black psi op material has never been my bag. I’ve always found that material to be a little paranoid and heavily laced with disinfo. Whenever I did research government black projects I always felt the message to be far fetched and crippling energetically as it didn’t seem to provide any solutions or bigger perspective with its saturated dose of fear. However, now I have a dude in my room watching me when I sleep and who knows what other occasions. As I told Micah (my fiancé and hypnotherapist) what i was experiencing he instructed me to try to dissipate the dirty orange shield that was blocking me and as I did information began pouring in about what was happening. I got the distinct impression that this man was working for the government or a related organization; as well that he had a connection to the Pleiadians. This was odd as I have communicated with pleiadian beings before but with a very different energy signature. It made me keep in mind that when we talk about “Pleiadians” its pretty much equivalent to saying “Earthlings “ or “Asian people” it is very general and not appropriate to assign generalizations. That said it appeared this situation was associated with a rogue group from the Pleiades. I got the impression that they were working with the government and were most likely fourth dimensional entities. This was very synchronistic for me as a very good friend of mine had mentioned them to me that week, in relation to my experience. I also had the impression that they were trying to funnel energy through the orangey brown frequency band somehow. I immediately called for my guides to come forward and help me and as I did a piercing white light came from my left and concentrated itself on my third eye. Waves of peace and security came over me and I heard them say “this is to remove a block you have on your third eye”. I felt my forehead expanding and felt quite emotional. They were three pure white white skinned beings with short fluffy hair, androgynous yet energetically felt masculine to me. I had met with one before in a meditation a month or two ago. They showed me the situation with the remote viewer from a higher perspective. They told me that It is simple to go beyond government technology and vampiric fourth dimensional beings. They continued to tell me that researching negative E.Ts and finding out the truth about black ops and mind control is best understood when put in perspective. Too often these topics are talked about without the acknowledgement of our ow n power. We speak about them in the minset of 3.D bodies and and their 3.D capabilities. This limited perspective cannot fully compute this league of information or experience and perpetuates mind control and vampire agendas. I found this helpful; I had thought about this before and resonated with it deeply. I find it very ironic that so many people that share fear-based information believe that are “raising awareness” when we’re not actually reaching very high. Awareness of the evils of the universe is one thing, thats easy, awareness and integration of how powerful we are, thats a whole new ball game. The truth is there is a part of us that is addicted to fear and chaos, perpetuating us makes us feel safe. After all if we are not experiencing some for of chaos, that means it must be on its way, right. After connecting with my guides and receiving a much needed cleansing and re-alignment. The hypnotherapist brought me back to the remote viewer in my room. Curious, he asked me to follow him back to where he came from. I remember thinking “I don’t know how to remote view…” but before I could finish that thought I found myself in the gaudy yellow kitchen a small apartment. It looked as if I had travelled in time really, it was very 1960’s, the sink was full of dirty dishes there were no family photos or personal touches. I saw the person who was just in my room he was a very sad individual; it was obvious to me that he was more mind controlled than anyone! He was very lonely and conflicted; there was a potent sense of deep numbness and disconnection surging through his being. He was not a great and powerful, evil wizard for the government like I had felt when he was in my room. This is just a sad, lost, highly manipulated human being. I realized that he had intense psychic abilities without any spirituality or deep realization to balance them. It was as though he was starved of the very purpose and beauty of his own abilities- this made him deeply depressed. I looked around the room for some indications as to who or where he was. I saw a window looking out to the side of a building and an old coffee table with some books on it. I then had the words pop into my head: “The Watchers” followed by 2 symbols. I got the distinct impression that this was the name of the group or project he was associated with (Sounds like a pretty decent name for what he does). I felt so badly for him I spent a few minutes offering some love and then left. How could I be threatened or insulted by such a sad, weak individual? I realized that, yes, people are remote viewing us, these black projects do exist. I learned that they are “programmed” to look for energetic “sparks” or people who are having awakenings. When the body reaches a new threshold or has a kundalini awakening it sends out ripples through the collective field. Remote viewers see this and watch you. Viewers can also detect groups of people raising the collective’s vibration, they check in on that too. At this point I am not sure whether or not its pure data collection or if there is a more sinister point of this viewing. I am assuming the latter. I do know that they do use “frequency bands” that distort the functioning of the third eye. I will meditate and find out more on this. I also found out that their power over us relied completely on us running mainly from our 3.D consciousness amplified by fear and a subconscious addiction to chaos and drama. Their only weapons are intimidation based and fear inducing and there is nothing to be afraid of when you realize (scratch that, KNOW and FEEL) that you are infinite and divine. Please comment if you have had an experience similar to this. I have been thinking about doing a series of articles and videos on opening a spiritually based healing center for a while and recently I have received a few comments that confirmed to me that its a good idea. I must preface these entries by saying that this information stems from my personal experience and the shared experience of other people in my life having a similar business, at the end of the day you must do whatever feels right in your own heart. Whether you are just thinking about opening a small practice in your living room or a larger multi-use center I think this information applies across the board. I have found that for many mixing healing and money and spirituality and money to be like mixing oil and water. There are deeply rooted belief systems that demonize money as well as encourage a feeling of guilt about receiving money for services. I come across this so often that I have written in this blog two articles (“Rebels and Renegades” and “The Symbolism of Fear”) and will probably continue to explore this subject in the future. I have found that there are some distinct myths about money that pertain directly to the “spiritual or metaphysical” community. Money is a dirty word. Money is bad. People who have money are generally not good people and the way you earn money usually involves selling your soul one way or another. It is surprising how many “highly enlightened” teachers and healers have expressed this belief to me. Not only is this take on money damaging to the individual who believes it, it is also not accurate. Money is a metaphor for the collective’s view about wealth and abundance, or, in other words money is symbolic of societies collective feelings about wealth. Money is a reflection of how you feel about receiving and what you feel you deserve. Believing that money is the problem is like getting food poisoning from potato salad and blaming the potatoes – completely misguided. Many times when we begin transitioning into careers in healing and living more through our hearts we realize how corrupt and backwards the world around us is, this is usually called “waking up”. However, as important as it is to become aware of the “system” it is equally as important to hold a balanced perspective as we perceive it. Perspective allows us to see one situation (say the financial) from many different angles and through examining them we able to gain true insight. I feel strongly that harboring negative beliefs about money will tank your business before it begins. If you believe money is bad you will experience guilt when you receive it, which is really counter productive because, like it or not, it costs money to live. I believe things are changing and one day we may not need money but until then we have to work with the situation we are in, not against it. The monetary system will fall away when the majority of the population no longer needs the hard lessons it provides. I have deep respect for the pioneers that are living without money in their lives, however it is short sighted and lacking in perspective to hold others to that standard at this point in time. -Believing money is bad (consciously or not) is like believing guns alone kill, instead of the people pulling the trigger. – Money comes to you easiest when you are open and neutral in your opinions about money: Money is neither good nor bad. It is one of many expressions of wealth and abundance in our lives. Ironically an obsession with money limits other avenues for wealth to flow in as everything in or lives arrives there through the filter of our beliefs. Many people are working jobs that they do not actually resonate with. We do this because on some level we do not believe that the universe will support us if we truly begin following our hearts. So what do we do, we keep learning and growing and taking steps to heal until one day you realize that your job isn’t fulfilling and you deserve to do something that is (Yay!). This is a huge step but when you take it you are confronted with deeply rooted guilt about charging for your services. You then “come back to reality” and look at all your bills and say bitterly “this stuff is crap, how can I do what I love and support myself and my family”. Once that happens you’ve stopped yourself before you’ve begun all because of a false belief about money. Not only have you stifled yourself but this reasoning stops a powerful new age movement before it begins. We need as many people as possible living from their heart to create a strong shift on our planet. This doesn’t even mean you have to be a healer or teacher, it just means living from your heart and knowing you will be supported for doing so. So, If you are interested in starting a business for yourself, large or small, you must do some deep personal work and become aware of how your view abundance. Sometimes we may consciously know all of this but deep down we still hold unhealthy views about money. Often times our true beliefs about money don’t surface until we are actually charging money and in the position of being paid. Ironically because we live in such a materialistic society potential clients won’t respect your practice unless they pay something for it. You may think that you are helping by providing free or very cheap services but many people will perceive you as not good at your job, or not worth the time. . This is because not all individuals see how corrupt the financial system really is. I do not believe in over charging, but, we have to be fairly compensated for our efforts. The more supported we are on all levels the more we can expand as healers and teachers. It must also be noted that sometimes this guilt about money comes from lack of confidence in ones skill and is part of the growing pains of working as a healer. This is completely normal. Charge what you feel is right, even if it is low compared to others in your field, adjust your rates accordingly as you gain more confidence and your skills become more finely tuned. By allowing your client to give they are then able to receive what you are giving. –	At a subconscious level we value what we pay more for. How do you treat a piece of furniture that you paid decently for vs. one that was handed down to you? Do you treasure your designer clothing items more than cheaper ones? –	It is important to be aware that by charging a fair wage you actually allow people to heal knowing that psychologically they are more open to receiving /respecting your services if they are able to pay you. –	It is typical for many practitioners to be givers more than receivers in relationships. This seems noble but is actually an imbalance and it will starve you of the support you need to do your job. The exchange of money is symbolic of the natural process of giving and receiving. By allowing your client to give they are then able to receive what you are giving.